This Tweak For iPhone Brings A Former App Switcher Concept To Life – Download Now! I love Apple’s iOS, I really do, but while I do see the value and benefits in other mobile operating systems like Android and Windows Phone, they just don’t provide the full mobile experience for me, at least. With that said, Apple definitely has some work to do to make iOS all that it can be and that includes addressing the blatant issues that the multitasking app switcher has had since its introduction in iOS 4.0. Thankfully, the jailbreak community has consistently released tweaks and packages that bring changes to this area of iOS, dramatically increasing its usability, and in some instances totally rewriting the way multitasking is handled. One of the latest is the Switchy tweak by developer John Coates and exists to bring to life Brent Caswell’s switcher tray concept. 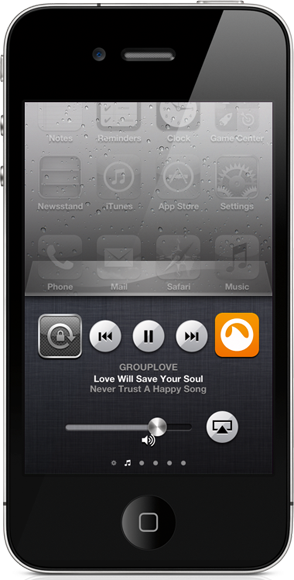 The package addresses a number of the issues which a large number of faithful iOS users see with Apple’s native implementation of the switcher tray. First and foremost, Switchy expands the tray to include two rows of app icons, therefore doubling the amount of screen real estate that is available when invoked after double-pressing the Home button. The immediate benefit of this is that the user can now see eight backgrounded apps rather than the standard four which Apple allows. Secondly, Switchy appends the ‘Now Playing’ area of the switcher tray and adds additional information in the form of the artist and album information taken directly from the currently playing music track. It may not seem like a huge addition, but that area exists for a reason, and considering it has media buttons to skip through music tracks, it is a great idea to get a visual view of what is actually playing in the background. A dedicated settings page is also added to the switcher tray through the Switchy tweak. The added settings page allows the brightness of the device to be adjusted, and also contains a much needed button to kill all running apps and get quick access to the native device’s Settings app. Adding a kill all button is something that had been sorely needed and although a number of tweaks already exist to do this, a lot of them are independent of the switcher area which isn’t ideal. Switchy is a really excellent example of a tweak that expands functionality, enhances iOS, but also manages to look and feel native, as if Apple themselves had built it. Switchy is available to download from the BigBoss repository for $1.00, requires iOS 5.0 above and is currently only compatible with jailbroken iPhones and iPod touches.